Howdy, and welcome to our 3D archery page. If you’re confused about what 3D archery is and isn’t, you’ve come to the right place. We’ll set you straight on this shooting format and maybe get you interested in a new form of competition. With most target archery, you’re casting arrows at a round target face or grouping of target faces, usually from a stationary shooting line. When you practice 3D archery, it’s quite a bit different. In 3D archery, you walk a target course in the woods, through fields, and sometimes both. Alone the way, you will come across targets that look very similar to the game animals you would be stalking as a bowhunter. And that’s a huge part of what 3D archery started out as: practice for the hunt. It works out a bit like a game of golf, though, where the “holes” are actually three-dimensional foam targets shaped like deer, coyotes, wolves, antelope, and so forth. The goal is to make “kill shots” on these foam targets, from various distances and in different settings. Points are earned based on where the archer scores his or her hit. Typically, a 3D round will have a total of 40 targets to shoot and and score points for. Archery clubs throughout the United States hold recreational 3D shoots. Some are competitive, and some are just for fun and practice. We’ll talk more about that in a bit. The 3D archery shoot takes place outdoors, usually in a setting very similar to real-life hunting conditions. It’s much different from indoor archery, because there are quite a few more variables at play that will affect your shooting. With 3D archery, you have to deal with all of the elements of weather, moving shadows, uneven terrain, and varying light conditions. It adds an element of real-life challenge to the shoot that makes 3D archery ideal to help you train for the big hunt while also honing your skills. There’s one other major distance between 3D archery and other forms of target shooting. With most other competitive and recreational archery, you’re shooting from a stationary position at a fixed range. That’s not the case with 3D archery. You’ll come up on targets at various distances from you, just like in the real world when you’re hunting. Which Organizations Promote 3D Archery? 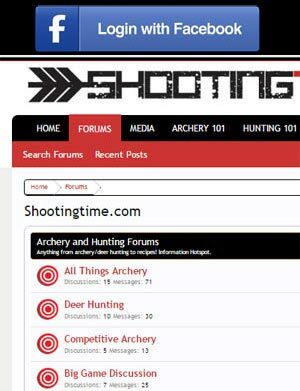 For competitive and recreational 3D archery, two main organizations promote the sport: the Archery Shooters Association (ASA) and the International Bowhunters Organization (IBO). Both organizations host tens of thousands of amateur and professional archers from across the United States and the rest of the world in competitions. IBO was created in 1984 by a group of bowhunters hoping to ensure the sport, along with the ideals of wildlife conservation, would survive, expand, and flourish for future generations. To that end, the IBO began a series of worldwide tournaments in 1989, which has grown so much that the IBO World Championship is now the largest and most prestigious event in 3D archery. ASA was founded in 1993 for the same reason, and has been growing steadily. Today, the ASA has federation chapters in 37 states, with more than 9,000 members and 330 clubs. The McKenzie ASA Pro/Am Tour has a huge following, and competitors are drawn in from all over the US to take part in or watch the events. 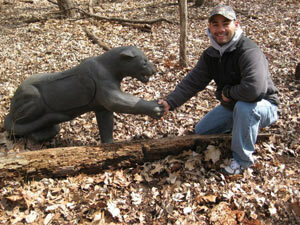 ASA and IBO have very similar goals, and give money back into wildlife conservation, but there are differences. The two organizations have different scoring standards for the targets, and ASA has been leading the competitive world in setting safety and fair competition standards for the sport. Furthermore, in 2007, ASA began incorporating Known Distance 3D archery, which provides competitors with another option and gives a more accessible starting point for new competitors. What Kind of Targets Do I Shoot At? 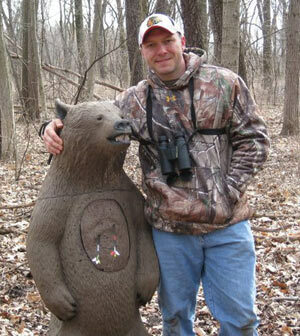 ASA uses McKenzie 3D targets, with 12-ring and 14-ring scoring systems. Each arrow in an ASA 3D shoot is worth 0, 5, 8, 10, 12, or 14 points. 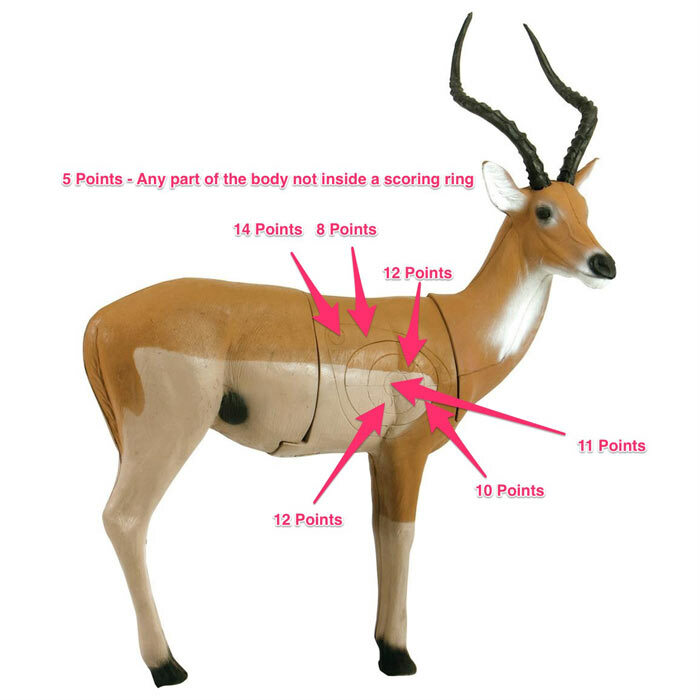 A miss is worth 0 points, five points are earned for a hit anywhere on the body of the target, and eight to 12 points are assigned to the scoring rings positioned where the creature’s vital organs would be. In special bonus competitions, a 14-point ring is housed in the upper rear of the 8-ring. 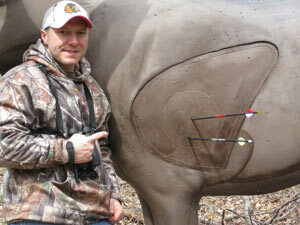 The IBO partners with Rinehart Targets for its 3D foam targets. 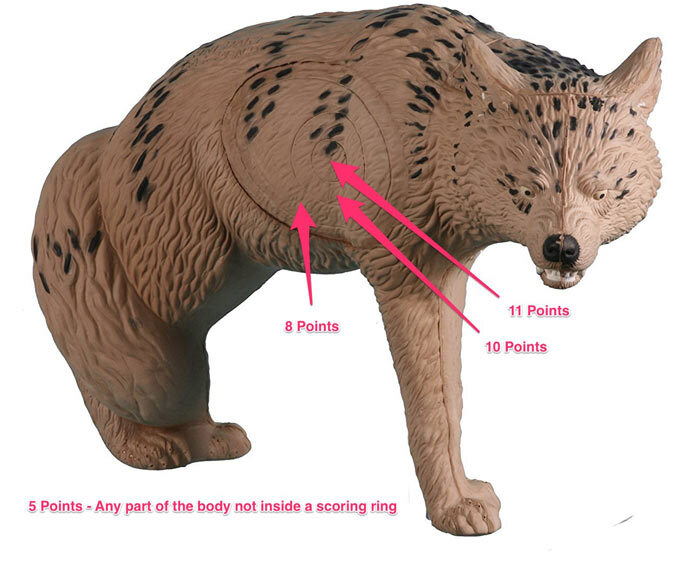 While IBO doesn’t specify which animals can be used as models, it does indicate certain scoring areas for the targets. IBO utilizes an 11-point scoring system per target, with a 10-ring centered inside the vital area. Within the 10-ring, an 11-ring or X-ring approximately 25 percent of the size of the 10-ring is placed for the top score. A vital area ring, or 8-ring, approximates the heart, lung, and liver area of the appropriate animal. The rest of the body is considered for five points, and a miss or an arrow not touching body color constitutes zero points. Do I Have to Be Able to Judge Distance for 3D Archery? When you’re hunting, you typically have to be able to judge distance to your target before taking your shot. Granted, there are rangefinders to help with this, but those are sometimes less than useful in certain weather conditions. With that in mind, 3D archery was originally conceived to add the challenge of judging distance to the sport. For that reason, most 3D archery shoots are called Unknown Distance shoots, and various ranges are used for shooting stakes. These ranges usually fall within 25 to 50 yards (22.86 to 45.72 meters). This adds a level of realism to the competition that differentiates 3D archery from other forms of target shooting. In 2007, the ASA began offering Known Distance options, where the range to the target is marked, but that variant is typically just for newcomers to the sport. What Kind of Bow and Arrows Can I Use? 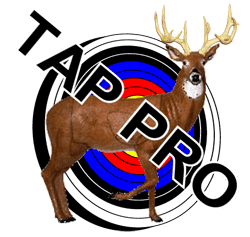 In both ASA- and IBO-sanctioned events, competitors can use any type of compound or recurve bow they wish, with any equipment normally used for hunting. In some competitions, even crossbows are allowed. Sights are allowed, but in a fixed-pin class, they cannot be adjusted once the archer enters the shooting course. Sights that project a laser light or other aiming dot on the target are illegal in all classes. Arrows of any type can be used, as long as they aren’t altered from the manufacturer’s original specifications other than cutting them to size. The maximum diameter of arrow shafts cannot exceed .422 inch, and the field or glue-in point may have a maximum diameter of .425 inch. In IBO competitions, arrows must weigh at least five grains per pound of the bow’s maximum shooting weight. Speaking of shooting weight, or draw weight, both ASA and IBO have limitations on that. These limits vary based on age of the archer, but max out at 80 pounds, excluding crossbows. A two-pound variance for bow scale differences is usually allowed. Limits are also placed on arrow velocity, for safety reasons. Arrow velocity may not exceed 290 FPS in any class, and is usually set slower for younger archers. For example, the ASA limits velocity to 240 FPS for middle school classes, whereas the IBO only allows youth archer classes to shoot at up to 260 FPS. 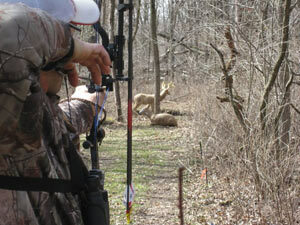 Are 3D Archery Shoots Time-Limited? Yes, they are. In ASA competitions, there are two 20-target Unknown Distance round shot in three hours and 30 minutes each. Each of the two 20-target Known Distance rounds must be completed in three hours and 10 minutes. The first shooter at each target in an ASA competition is allowed two minutes to take their shot in Unknown Distance rounds, and one minute in Known Distance rounds. Remaining members of the shooting group are only allowed one minute to shoot. In IBO competitions, each archer is allowed two minutes to complete his or her shot, regardless of whether the archer is first to the shooting stake or not. What About Spotting Scopes and Binoculars? Both IBO and ASA allow shooters to use binoculars, but they cannot use any magnification that would provide range, or utilize rangefinders in most cases. An exception is made for crossbow classes, which can typically use scopes with up to 4X magnification as long as no rangefinding capability, light, or red dot is provided. Time is always limited, so archers are encouraged to limit how long they glass the target before taking their shot. Glassing the target after the shot is prohibited by both organizations. 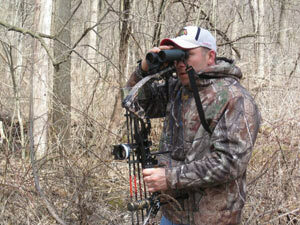 For hunters, 3D archery is a terrific way to maintain their skill and edge year-round. It’s also an exciting form of competition. Thousands of archers and spectators drawn to the largest tournaments. For many archers, 3D archery is another avenue to becoming a sponsored professional, and tournaments often provide large purses including cash and scholarship payouts. If you want to get involved, you should contact your local ASA or IBO club and find out when their next recreational 3D archery shoot is happening.